“Way back in 1971 or 1972, while I was editor of AW, my Yorkshire correspondent Granville Beckett tipped me off: ‘Look out for a young lad from here by the name of Sebastian Coe; he’s really promising.’ Well, unlike all too many other prodigies, Seb did fulfil that early promise … and how. “I’ve been writing on athletics for over 60 years and the most exciting period during all that time was the Coe and Ovett era. What a pleasure and privilege it was to report on their races and records; it was such a thrilling time. 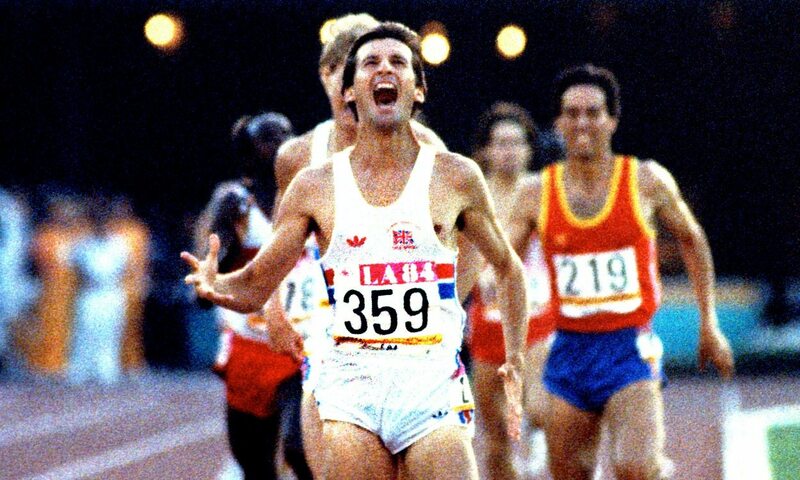 “I first met Seb in a Zurich coffee shop in 1979, the morning after he had broken the world 1500m record with 3:32.1. He came and sat next to me, then a total stranger. The next time we met was outside the Moscow Olympic stadium in 1980 soon after his defeat in the 800m. I didn’t think he recognised me as I congratulated a very dejected runner on his run. He looked at me sharply, no doubt thinking I was being sarcastic, but I explained that I thought he had run a truly remarkable, albeit stupid, race in which he had done virtually everything wrong, and had still got the silver medal. He seemed to realise that I meant what I had said, finally smiled, and got on an athletes’ bus. Whether that helped him as he got ready for the 1500m, I can’t say, but it was the beginning of a firm friendship. “We were very lucky in that Seb, Steve Ovett – and Steve Cram to a lesser extent – were such standard bearers. We were all desperately trying to be number three or four in Britain and, in so doing, become virtually number three or four in the world. It was because of them that people like myself and Jack Buckner, Rob Harrison, Garry Cook – people who were running world-class times back in the mid-80s – were almost considered as also-rans but actually when you strip it back and look at it you’d think ‘well I may have been an also-ran in the UK but I was number five in the world!’. “It was a very weird period like that but I suppose a lot of us have got Seb and the two Steves to thank for that, in a way. “I admire Seb for a number of reasons, one of which – as a member of the media – is because he does speak so wonderfully publicly. He’s a brilliant orator, speaks incredibly calmly and incredibly well. “Nobody is whiter than white – I’ve written this myself – and Seb is not perfect but he’s absolutely the best man in the world for the job (as IAAF president). He’s not given enough credit for what he’s achieved already in his first year. “I’ve always had a lot of faith in Seb. As I say, I don’t think he’s whiter than white but I also think that he’s exactly the right person for the role that he’s in at the IAAF. If that became the defining achievement of his career after winning two gold medals – and far more so than making London 2012 successful – then that would sit well with me. “I think he will yet prove to be the saviour of our sport because his age and knowledge crosses over several divides. He comes from a bygone era when things were virtually filmed in black and white – he won the Emsley Carr mile in 1977 – but he absolutely understands that athletics has to be taken into the modern era. The traditionalists have had their day and for the sport to survive further into this century then huge changes have got to be made – and Seb is the right person to initiate those changes. “He’s had an incredibly tough first year and I remember having a chat with him in March in Cardiff at the World Half Marathon Championships. I’d heard that he was worn out, that he was really knackered after his first six or seven months and had been constantly flying from pillar to post. He said, ‘I’m okay, I’m bearing up’ but he looked very tired and this last year has put 10 years on him physically. “I was very fortunate to get up close to Seb and Steve (Ovett) at a young age and yes, what they were doing did inspire you, but on the other hand you realised that they were just ordinary as well. To see some of their foibles, their own anxieties, their own issues up close … that debunks almost the whole hero worship thing, which would have been a danger.